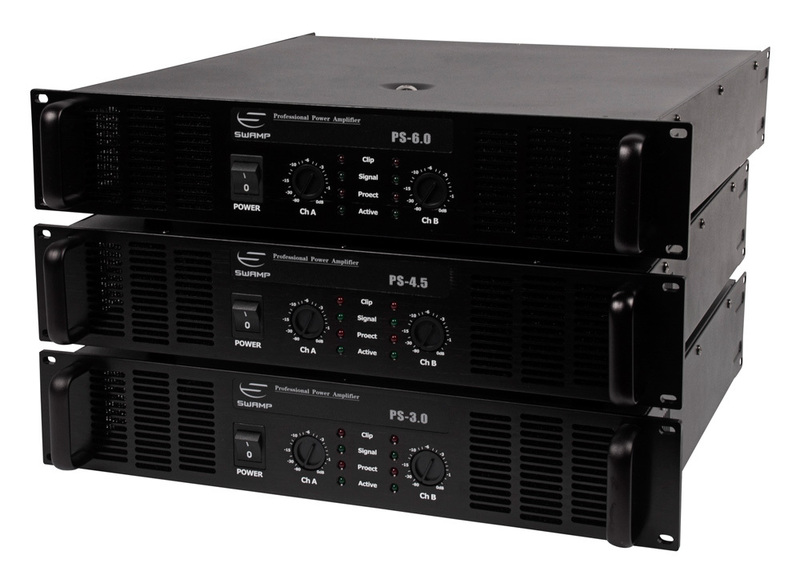 The SWAMP PS-4.5 is a dual channel power amp capable of delivering 450W of continuous power to (2x) two 8 ohm passive speakers. 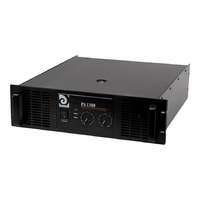 Given a load of 4 ohm the amp outputs 600W, whilst in bridge mode, the amp outputs 800W at 8 ohms. 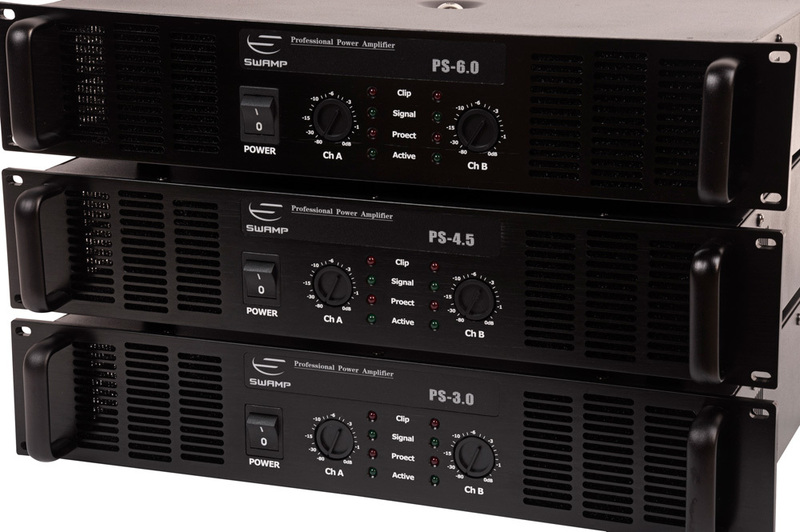 Despite the recent trends in the development of powered speakers, the demand for robust and reliable power amplifiers for standard passive speaker and point source systems has not waned. Which is why SWAMP has released its own brand of quality and affordable power amplifiers suitable for small to medium size PA systems that are comprised of passive front of house and monitor speakers. 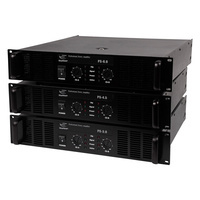 Each SWAMP power amplifier can be matched with a specific passive speaker from the SWAMP range, or with any other passive speaker on the market. 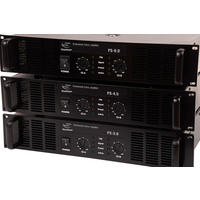 The PS-4.5 has 5 easily accessible switches on the rear that all have an important function. It is recommended to set the Limit Mode switch to ON, which will protect the amp from any accidental or potentially damaging spikes in signal. In addition, there is an LPF function in case of the need to eliminate the bottom end frequency range from the signal, a Ground Lift to assist in eliminating any ground hums, Input Voltage selector (to match to +4dB and -10dB line level signal types) and a Mode Selector that allows use in bridge, mono or the standard stereo channel mode. 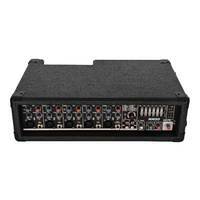 The SWAMP PS-4.5 has 2 XLR inputs to accommodate a Left and Right FOH signal, or two separate AUX inputs. Output wise, you have the choice of using either the 2 Speakon outputs, or if you don't have a connector, you can connect the cable directly to the binding post outputs. 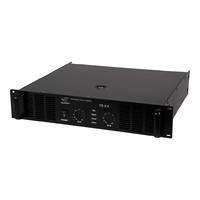 Furthermore, the amp has a link output, which allows you to run multiple amps from the same input signal. 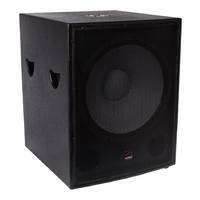 This is perfect for running multiple speaker set ups and delay speakers where each speaker set requires the same input signal, but also requires its own amplifier. 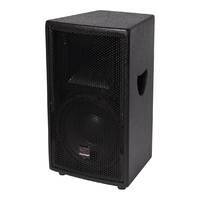 Bought power amp 2x450watt for FOH speakers. 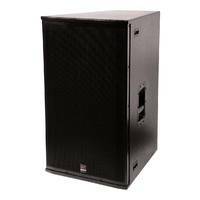 Very happy with quality of build, and sound quality.Looking to buy second one now.